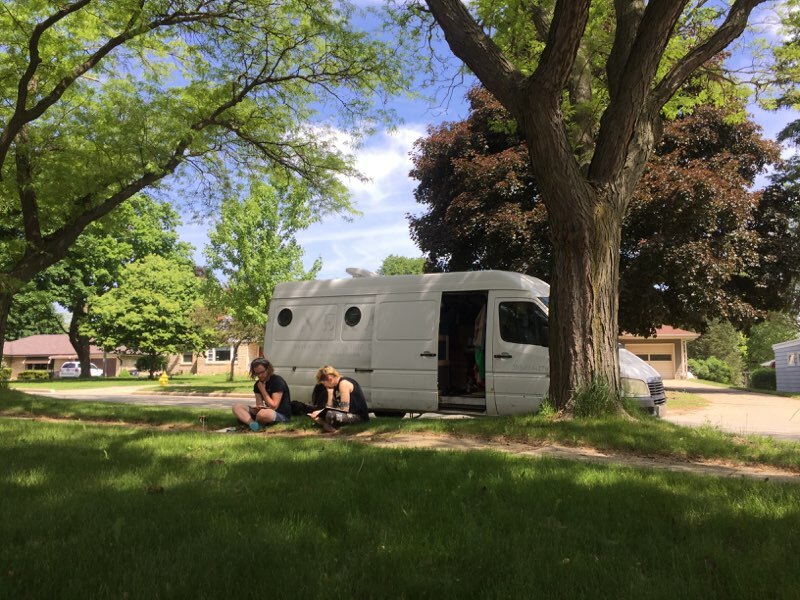 For the last couple of Years I've been living in a van and traveling the US. It's not as glamorous as it might sound, but it does create a certain amount of opportunity. If you live in the lower 48 American states, chances are I'll be in your neck of the woods sooner or later. I like to follow gigs and good weather, so if you would like me to perform, lecture, or teach a workshop in your area, get in touch and we'll see what we can do! I'm in the Pittsburgh Area until the release of Free Money #6 on Sept. 22nd. After that I'll either be heading toward New England or North Carolina, with plans to be in the San Francisco Bay Area for the bulk of the winter. If you're town fits anywhere in this loose outline and you are interested in hosting a writing or funnybook related event, please get in touch. If you are a professor, who's students may benefit from talking to a professional in the field (way out in the field), please get in touch.